The Nokia 3310 phone, a replica of its iconic namesake, took Mobile World Congress by storm last month. It was a surprising show of enthusiasm for so-called candy-bar phones, which remain popular in developing countries because of their rock-bottom prices. 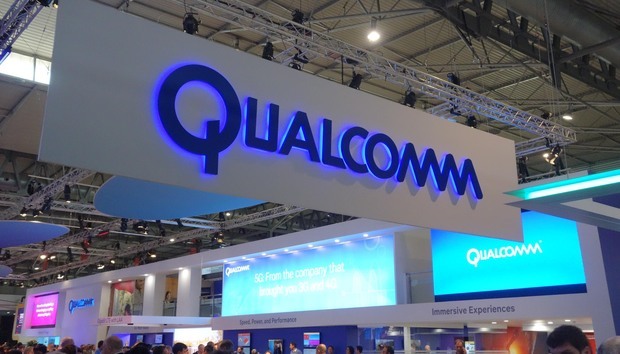 Qualcomm believes there's an untapped opportunity in such feature phones and believes it can bring smartphone-like capabilities to these handsets. So it made the 205 Mobile chip, which will bring LTE capabilities, better graphics, and more responsiveness to candy-bar phones. There is a big need for a chip like the 205, especially when you look at the limited features of the new Nokia 3310. The Nokia 3310 offers only 2G connectivity capabilities for texting and calling, while newer candy-bar phones with the 205 chip will be LTE capable. LTE will mean more reliable connections and better call quality. Users will be able to do basic web browsing, send email, and engage in social networking via Twitter or Facebook. Qualcomm estimates 20 percent of all mobile phone shipments are feature phones, and most will move to LTE in the future. The 205 chip supports CDMA and GSM networks. Gaming on candy-bar phones and their small screens will also look better and less pixelated, which should make long train rides home more fun. Users will be able to see streaming video on the 480p candy-bar phone screens thanks to the Adreno GPU in the chip. Imagine dual-cameras on a candy bar phone -- that will also be possible with the 205 chip. The chipset supports a 3-megapixel rear camera and a modest 0.3-megapixel front camera. Candy-bar phones will also get voice-over-LTE and secure payment capabilities via the chipset. Those features are important in developing countries, where mobile payments are gaining steam. Feature phones will also get Bluetooth 4.1 capabilities. The dual-core 205 chip will operate at 1.1GHz, which could be like putting a jet engine in an extremely low-cost phone. The chip could also fit in low-end smartphones. But the camera and graphics needs of such phones are much heavier than the 205 can provide. The chip is mainly targeted at phones based on embedded Linux, not Android or Windows. Feature phones with the 205 Mobile chip will ship in the second quarter this year.